Fans of The Walking Dead can now kill time until the series returns from its winter hiatus by raising walkers from the labels on bottles of wine influenced by the show. 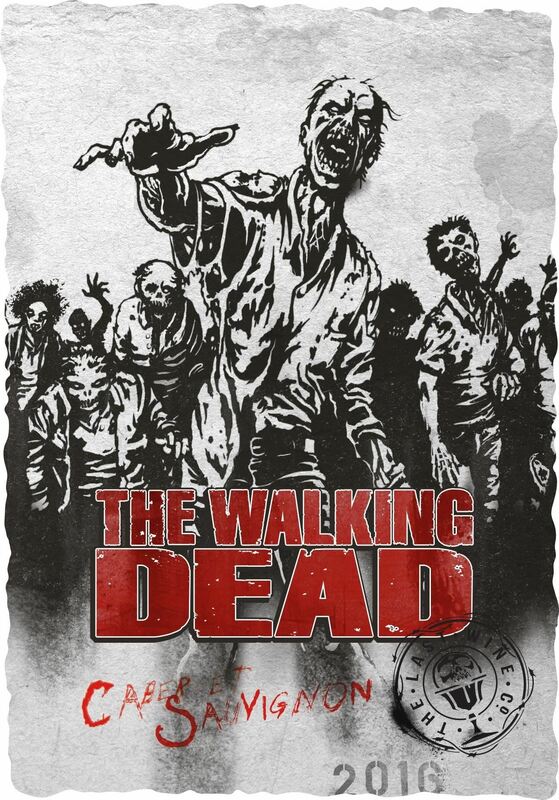 With the Living Wine Labels app for iOS or Android, fans can unlock augmented reality content embedded in labels of The Walking Dead Blood Red Blend and Cabernet Sauvignon (available nationally for $18.99 per bottle). Scanning the former opens an animated portal to the show's lead character, Rick Grimes, while the latter triggers a zombie that virtually tears through the label. 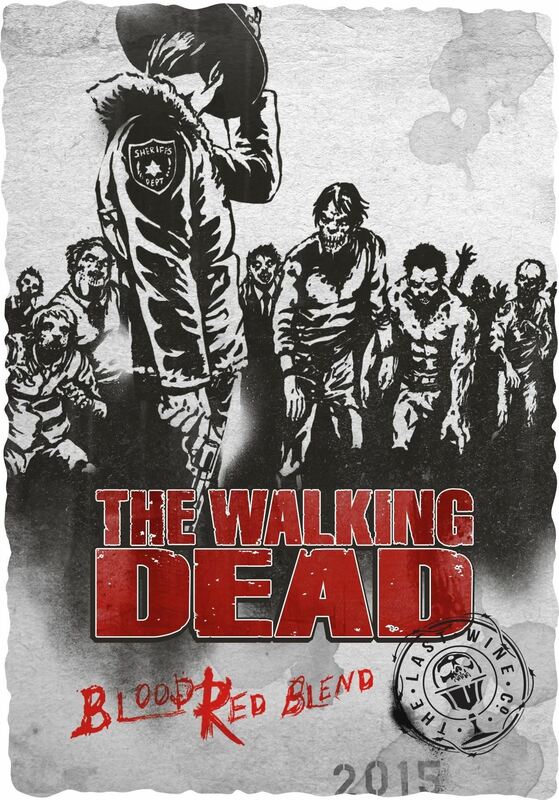 The wine and the experience come from the fittingly-named Last Wine Company, a partnership between Skybound Entertainment, the company founded by the creator of The Walking Dead, and Treasury Wine Estates. As with many marker-based augmented reality experiences, you can use the app to scan the images below to access the content if you don't have a bottle of either wine in front of you. Apparently, marketers have determined that fans of The Walking Dead are really thirsty and ready to dive into augmented reality. A previous product tie-in with the show and Mountain Dew also involved scanning specially-marked packaging, as well as TV ads, to reveal hidden AR content. "We know how enthusiastic fans of The Walking Dead can be and we expect they will embrace the Living Wine Labels app and The Walking Dead wines with real excitement," said Seth Hynes, vice president of marketing at Treasury Wine Estates in a statement. 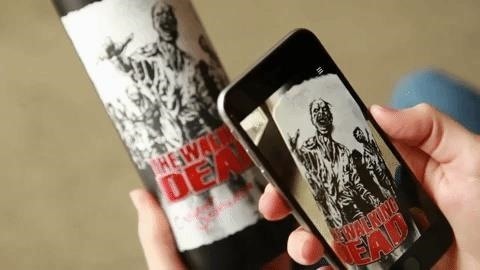 "Finding new and meaningful ways to connect with consumers is something we care very much about and we think The Walking Dead wine and Living Wine Labels App are a perfect pairing." Treasury Wine Estates has previously experimented with wine and augmented reality with its 19 Crimes brand, which also offers animated AR content through the Living Wine Labels app. Considering the fact that research shows that millennials are leading the pack among high-frequency wine drinkers, the AR technology tactic appears to be a wise approach.